On our recent April trip to the island, we took on Paddle Boarding with SUP Paradise Ibiza. 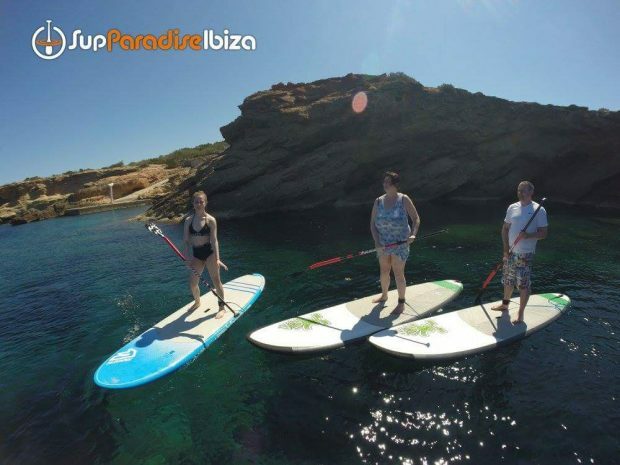 We have been paddle boarding a couple of times before and we love it, it is great for the whole family, easy to master the basics and is a great way to explore the island’s coastline from the sea. Being April and before the main season Ruben our guide and instructor picked us up in his 4 x 4 from San Antonio and took us to Cala Bassa, which is one of the most beautiful beaches on the island. We helped unload and prepare the paddle boards and were joined by three other people. After a quick introduction and refresher into the art of paddle boarding we set off on a circuit of Cala Bassa. Starting on our knees, to get us used to the board and basic paddle techniques we were soon back into the groove and all standing within a few minutes. SUP Paradise Ibiza have extra wide boards for beginners which are so stable and have the perfect grip level for your feet. Having been on several types of board over the years these were the easiest by far to stand on and are so forgiving when you start to lose your balance, yet still easily manoeuvrable and fast enough to keep with the group. Once we were all comfortable with our boards we paddled along the coast back towards San Antonio visiting several caves along the way. It was fabulous to explore these sea carved caves which many never get to visit as they are only accessible from the sea on paddle boards or kayaks. All too soon it was time to return to Cala Bassa and we hugged the amazing coastline peering through the crystal clear waters racing the fish as we paddled back. On returning to the beach we were supplied with light snacks and drinks while all the equipment was loaded back onto the 4 x 4 and we had chance to do a little paddling (it was too fresh in April for me to swim). 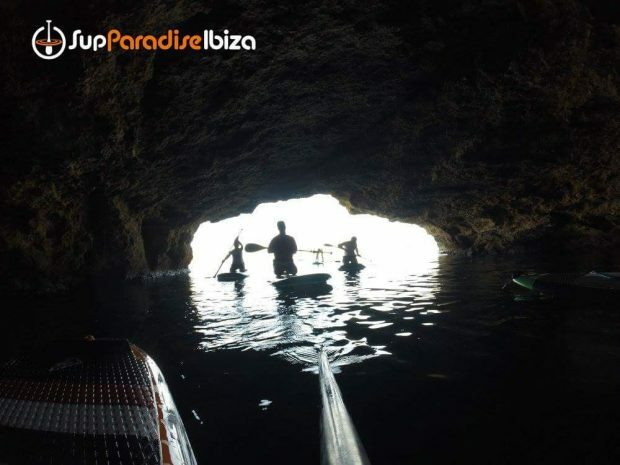 We had a great few hours and we cannot recommend this activity with Sup Paradise Ibiza enough. 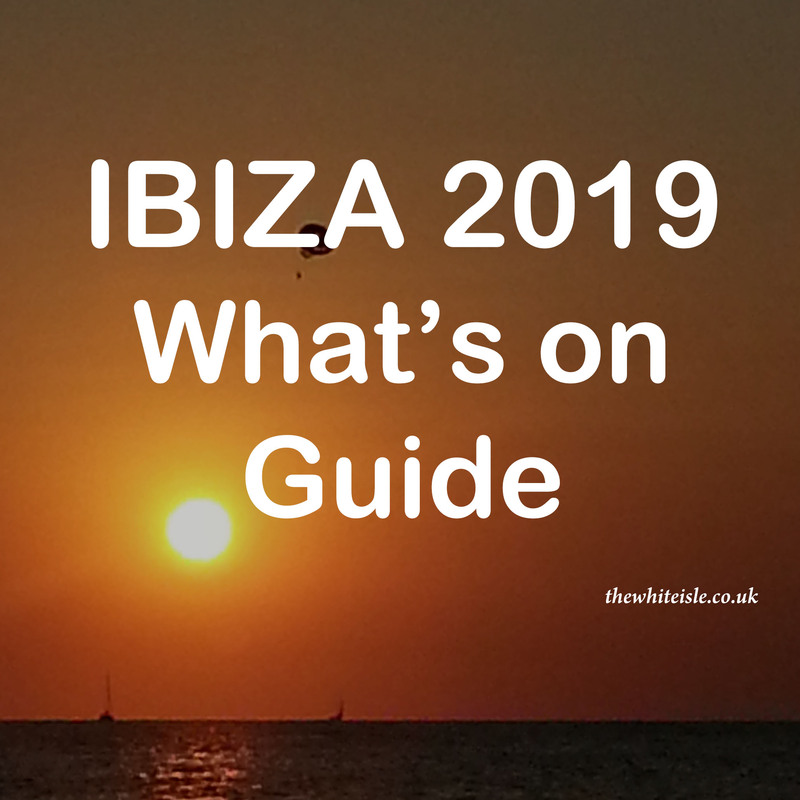 It is suitable for everyone, easy to master and you will feel a huge sense of achievement when you first stand plus you get to explore some of the hidden gems of Ibiza coastline. 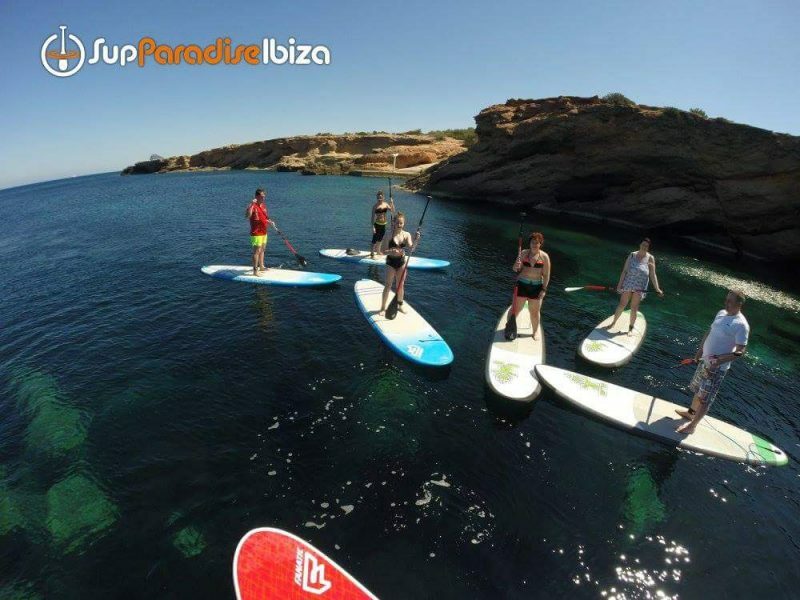 Sup Paradise Ibiza offers serval trips including a 3 hr boat trip which includes 1 hour paddle boarding, 30 minutes snorkeling as well as refreshments and light snacks. A 2 hour Sunset paddle boarding trip which includes freshly made Mojitos and the chance to paddle board as the sun sets over Ibiza. A 3 hour 4 x 4 trip (great for those who are not keen on boats) with 1 hour paddle boarding 30 minutes of snorkeling and fresh fruit and drinks included. 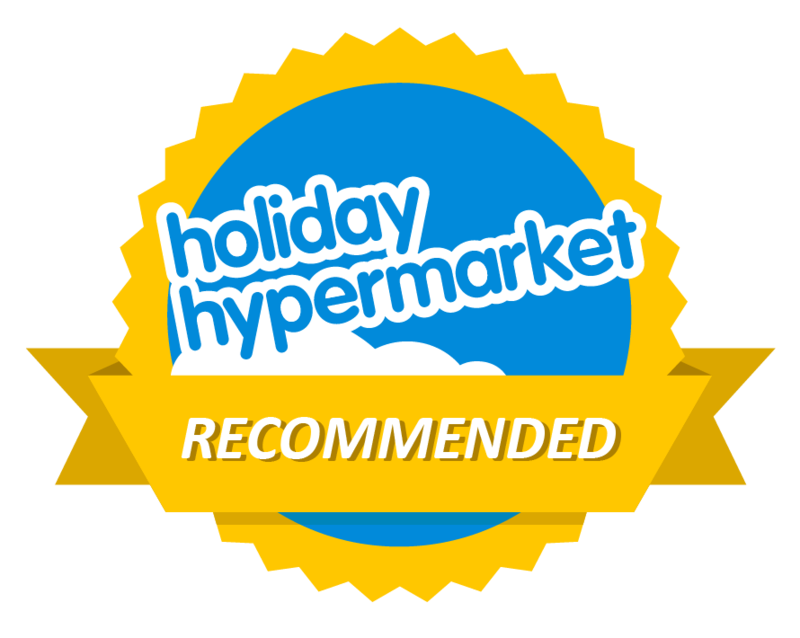 Other trips are available on request and every trip includes photos which are posted on facebook as a momento of your time paddle boarding in Ibiza.